It’s not backlash from Mother Nature or some man-made contamination like an oil spill. 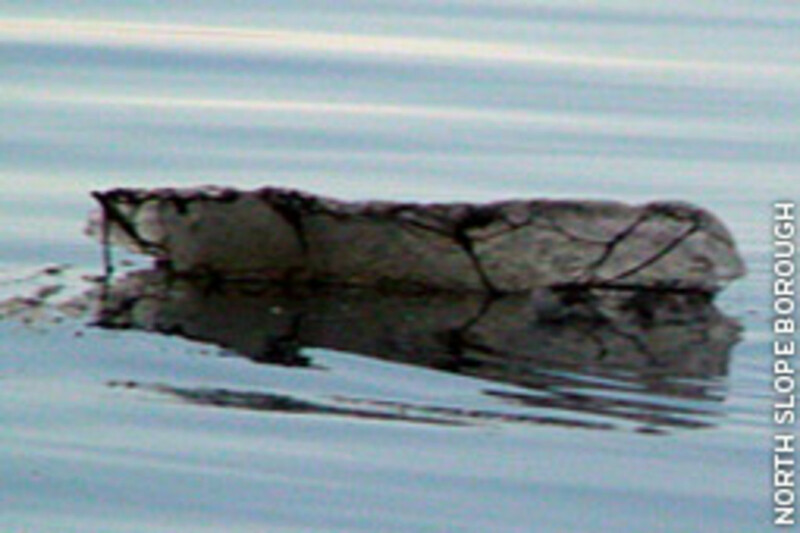 It’s a huge slick of floating goo -- likely decomposing seaweed or algae. On the morning of July 10, fishermen in Wainwright, Alaska, contacted Coast Guard Sector Anchorage Command Center to report an oily looking substance on the water floating about a quarter-mile off Wainwright. “The guys in the boat described it as patchy, broken-up globules all collected in a large mat,” says Petty Officer Terry Hasenauer. This floating mat measures about 13 miles by a half-mile, according to Hasenauer, and has been steadily making its way east on the Chukchi Sea toward Barrow on Alaska’s north coast. Stockwell says what makes this event unusual is the size of the mat. “Seaweed likes to attach itself to rocks, but in that area the beaches are either sand, gravel or pebbles, so you don’t see so much buildup,” he says. Within six hours of the report, two pollution investigators from Coast Guard Sector Anchorage and a C-130 crew from Nome arrived in Wainwright. They took a cutter and collected a sample, Hasenauer says. 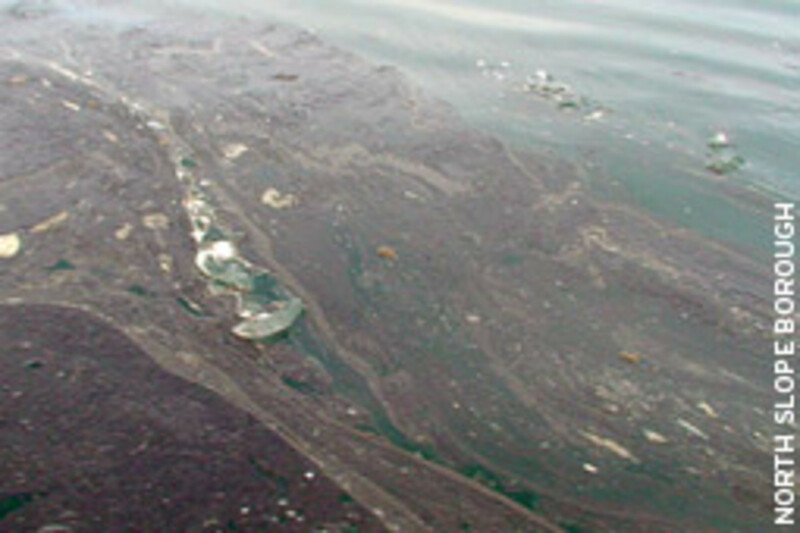 They sent the sample to the state environmental health laboratory in Anchorage, which determined it was natural and not part of a petroleum spill. Stockwell has been trying to get a good sample of the goo to determine its type. The sample gathered by the Coast Guard had gone bad by the time it got to him. “I opened it up, and it had a strong smell of sulfur, which indicated further decomposition,” he says. A severe storm and heavy seas in the area brought up seaweed from the bottom, and it is now decomposing on the surface. The seasonal ice melt created an infusion of fresh water into the salt water, resulting in reduced oxygen and plant life rising to the surface. 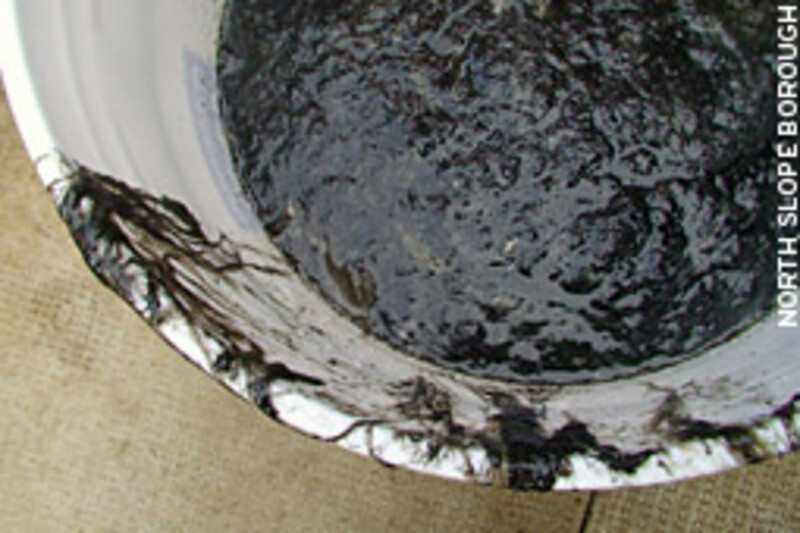 “It’s definitely organic, almost like compost floating on the surface,” says Stockwell. Deruyter, of the Department of Environmental Conservation, says his division gets about 2,000 oil-spill reports statewide a year and, more often than not, the spills are land-based. “We have never taken a spill report of oil just bubbling up out of the ocean,” he says. In late July, the mat was in the area where the Beaufort and Chukchi seas meet, traveling some 90 miles eastward since it was first sighted earlier that month, according to the Coast Guard’s Hasenauer. Sign up to receive our new e-newsletter, Dispatches.